There’s no doubt that the UK government recognises the importance of financial services, and in a rapidly changing technological environment the need for the UK to position itself as the best place in the world for fintech. 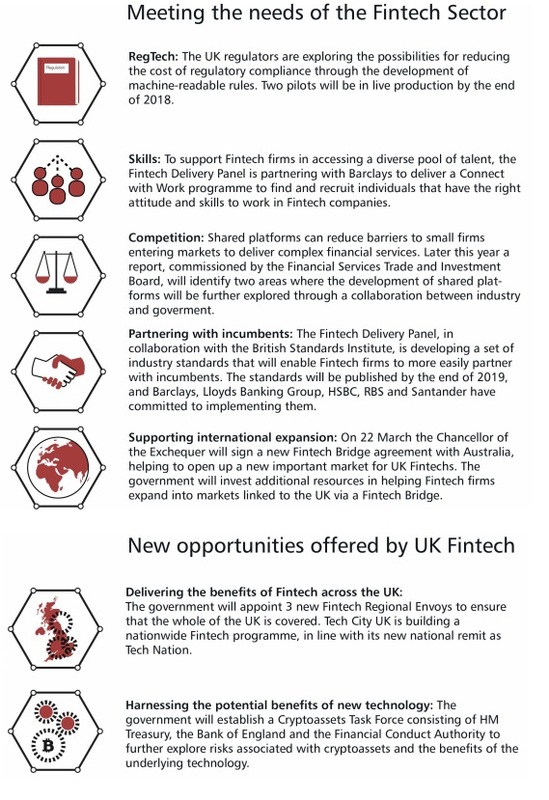 On 22-March the UK Government launched the Fintech Sector Strategy: Securing the Future of UK Fintech. In this post, i share with you my summary notes from the Fintech Strategy, please do refer to the strategy paper for all the statistics and complete details. The UK government paper defines fintech as an interchangeable term used to “describe both technology driven innovation across financial services and to pick out a specific group of firms that combine innovative business models with technology to enable, enhance, and disrupt the financial services sector“. Alongside technology, innovation and disruption the UK government stresses the important role competition plays in enabling efficient, open and resilient economies. 2. UK Fintech – Are You Serious? EY 2015 report – ‘UK Fintech on the Cutting Edge’ stating how UK fintech revenue was £6.6 billion in 2015, people employed in the sector were greater than in New York…. 3. UK Fintech – What has been done so far?